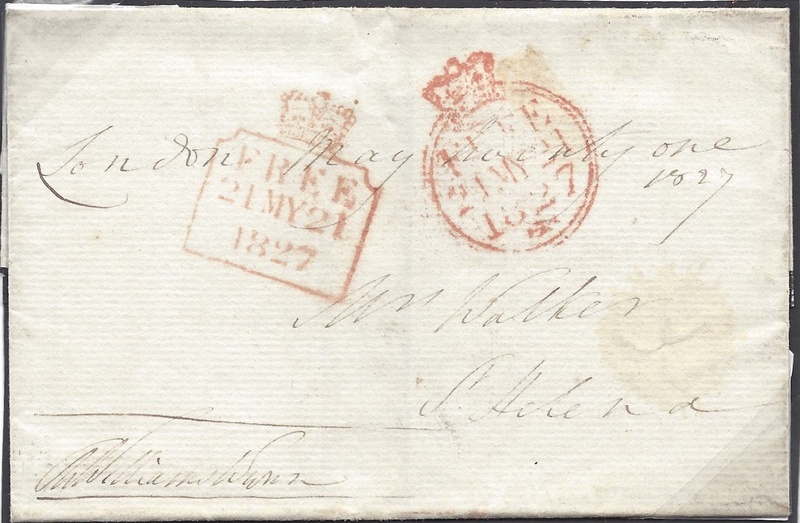 ... a VERY FINE SHIP LETTER OFFICE ♔/boxed (with indented corners) FREE datestamp, L 842. VERY SCARCE, ESPECIALLY TO ST HELENA. Ex B Jay.